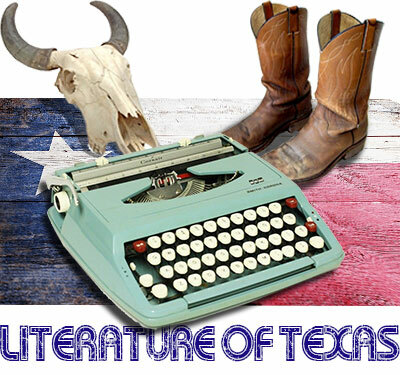 Since being annexed into the Union of the United States in order to protect slavery on the North American continent, Texas has been the home to many indomitable spirits and helped mold some of the countries brightest literary stars. With a rich history, many of these writers are not “writers” in the classical sense, but a part of the burgeoning culture of the United States. 1. Austin, Texas, is home to the museum dedicated to the famous American short-story writer, William Sydney Porter. You know him better by his pen name, which he adopted in prison after being accused of stealing from the bank where he was working. 2. The first work written about Texas was published in Spanish by this explorer. 3. As a member of the “Frat Pack,” this famous actor from Texas has been a fixture in contemporary American comedy films, but his first love is writing. Not only has he portrayed writers in Academy Award-winning films, but he also received an Academy Award nomination for Best Original Screenplay in 2001 for the film The Royal Tenenbaums. 4. Best known for his works of horror, this Texas writer has also written books based on what he claims to be non-fiction accounts of his experiences with alien beings. His most famous of these books was turned into a film, where he was portrayed by Christopher Walken. 5. The “Father of Texas Literature” came to prominence for his book Early Times in Texas, in which he tells the story of his escape from the Goliad Massacre during the Texas Revolution. 6. A modern renaissance man, this banjo playing, absurdist comedian, born in Waco, Texas, has also won awards for his children’s book, novellas, essays, screenplays, and musicals. 7. Known as the Queen of neo soul, this eccentric artist, hailing from Dallas, has been considered a modern day Billie Holiday and her esoteric poetic lyrics have helped shaped modern American music. 8. This contemporary Texas-raised poet has been nominated for the National Book Critics Circle Award and currently works for Buzzfeed as their Executive Editor of Culture. 9. War is at the forefront of this critically acclaimed writer’s short stories that helped carry the blurred lines of war and the effects of PTSD into the national conversation. Born in Minnesota, he currently writes, lives and teaches in central Texas. 10. After an incredibly successful career, this writer was fortunate enough to donate over $37 to the University of Texas at Austin and endow the Writing Center at the University. 11. Named “the poet of apprehension” by Graham Greene, this writer, born in Fort Worth, is responsible for crafting the character of Tom Ripley. 12. After moving to Texas in the 1970s, and being awarded the MacArthur Fellowship in 1981, many of this canonical author’s subsequent stories take place, or pass through, the state of Texas, where much apocalyptic blood is spilled. 13. Michael Korda of Simon & Schuster described this writer as “‘the Flaubert of the Plain’ . . . with a remarkable ability to write about women and an absolutely sure eye for the bleak landscape of small-townTexas and the isolated ranches of the Panhandle, as well as the history of the West.” He is perhaps best known for the film adaptations of his work.